When you think of combo forwards from Oregon with the first name of Kyle that can score inside and also hit perimeter shots, the player that immediately comes to mind is Duke’s Kyle Singler. 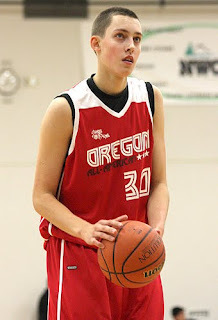 Well, there might be another name to add to that list: Kyle Wiltjer. The 6-foot-9 Wiltjer is one of the top forwards in the class of 2011, and the student of the game is studying many players at the next level to improve his skills. Not surprisingly, a player with his all-around talent is garnering plenty of college interest from a long and winding list of schools. Opinions may vary on Johnny O’Bryant’s consistency or ideal position, but one thing is certain – he is one of the premier big men in the class of 2011, and has as much potential as anyone. 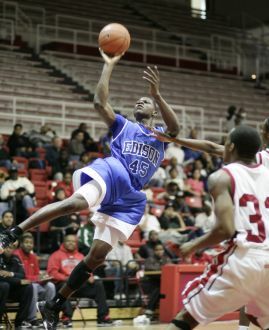 The 6-foot-8 O’Bryant, from East Side High School (Miss. ), has been showing flashes of that ceiling during the past couple of years on the AAU circuit, garnering plenty of notoriety and college interest. When a player hits 10-of-22 three-point shots and finishes with 37 points, he’s sure to get noticed. That seems to be happening an awful lot this spring with guard Kentavious Caldwell, who has emerged as one of the top prospects in the class of 2011. Caldwell, a 6-4 shooting guard from Greenville High School (Ga.), is among the top shooters in the country, and is capable of taking over a game from behind the arc. After two sessions of the NIKE Elite Youth Basketball League, the Drew Gooden/Oakland Soldiers are one of the top AAU teams in the country, sitting at 7-2. 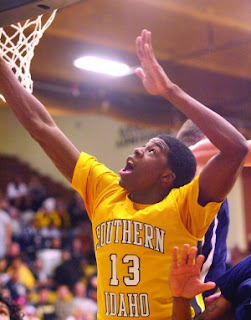 The primary reason for the hot spring is the blossoming of Jabari Brown, who has developed into one of the top 2011 prospects in the country. Brown has put up one impressive performance after another, including an outstanding 23-point first-half outing against Marquis Teague and the Spiece Indiana Heat. 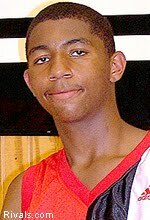 He is now ranked as a top-15 recruit by most experts. Aaron Cosby isn’t waiting for the July period to assess his recruitment and make a decision; he’s getting started now. Cosby, a 6-3 point guard from Kentucky who now plays at Northfield Mount Hermon (Mass. ), wants to trim his list and take some trips in the coming weeks. 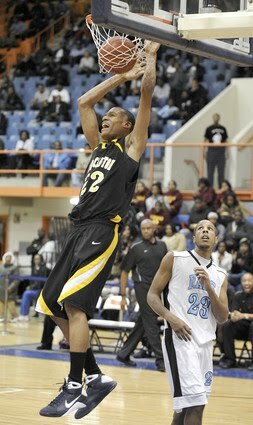 “I’m in the process of narrowing things down to 3-5 schools and will make a couple of unofficial visits before the July period,” Cosby said. When I spoke with Cosby in November, he had offers from Providence, Wichita State, Rutgers, Wichita State, Oklahoma State and Massachusetts, with interest from Stanford, Georgia Tech, Georgetown, Virginia, Pittsburgh and Penn State. There was plenty of excitement and recognition when Carrick Felix signed a letter-of-intent to attend Duke, becoming head coach Mike Krzyzewski’s first-ever junior college recruit. However, Coach K will still have a goose-egg in the JC column, as the 6-6 Felix has decided to open up his recruitment. He asked for his release this past weekend. “With Kyle Singler coming back, he saw less of an opportunity to play,” College of Southern Idaho head coach Steve Gosar said. Reports swirled around Monday that Felix did not make the cut academically at Duke, but Gosar denied those rumors. “He’s going to be fine,” Gosar said, adding that Felix received his release this morning from Duke. He said that he doesn’t want to speculate as to when Felix finally made his decision, but did say that he and Felix spoke this weekend about the situation. “Everything sort of went down this weekend,” Gosar said. As for the next step, Gosar said plenty of schools have been contacting Felix since the news, but there is not a list of possible destinations just yet. Depending on the school he chooses, Carrick is ready to make an immediate impact at the major-conference level. It looks like the Kadeem Jack recruitment saga has finally come to a close. After finalizing his list to four schools, Jack chose to take a prep year, then decided to reopen his recruitment after North Carolina and Kentucky began to show interest. Now, though, he has made his final choice. With his decision out of the way, Jack is ready to focus on the summer circuit. The 6-8 forward from Rice High School (N.Y.) will play with the New England Playaz for AAU, starting this weekend at the Bob Gibbons Tournament of Champions in North Carolina. There are plenty of questions about Jordan Goodman’s high school career, from where he will play next season to what class he will graduate with. Now, his college destination is up in the air, too. 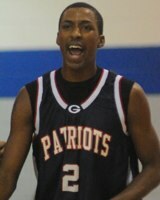 After committing to Georgetown in March, Goodman has decommitted from the Hoyas. “As of right now, he’s opened it back up,” DC Assault coach Bruce Shingler said. The primary reason for the 6-8 forward’s decision was Georgetown assistant coach David Cox moving to Rutgers. A source close to the situation was more emphatic about the next move for Goodman. Goodman played last year at Progressive Christian Academy, but will not return to the Temple Hills, Md., school next season. Josh Turner has not received as much publicity as some of his New England counterparts over the past few seasons, but he has not lacked for college interest. When we spoke to Turner in January, he had offers from Rhode Island and Niagara, with interest from Connecticut, Massachusetts and Xavier. 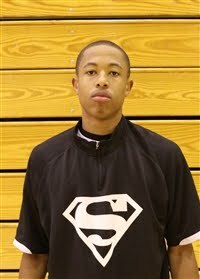 The 6-5 swingman from Sacred Heart High School (Conn.) has yet to pick a school, though. Turner is still waiting on his test scores, and will choose a destination once he gets them back. “I’ll let you know something soon,” he said. Despite the book closing on the class of 2010, there are still some prospects waiting to make a decision. One of those, Isiah Stokley, is awaiting his eligibility. Stokley, a 6-3 guard from Queens who played last season at Evelyn Mack Academy (N.C.), has a variety of schools on his list at this point. As first reported by me on Twitter (@jeffborzello), senior Majok Majok has committed to Fairfield. Majok, a 6-7 power forward from Northfield Mount Hermon School (Mass. 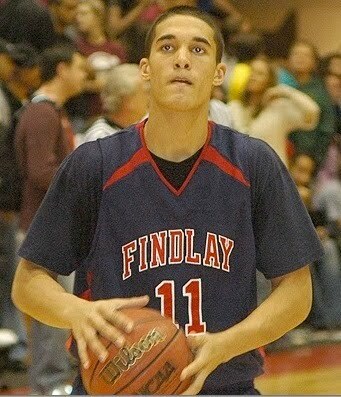 ), visited the campus on Tuesday and made his commitment. “Majok Majok is a Stag,” a source close to the situation said in a text message. 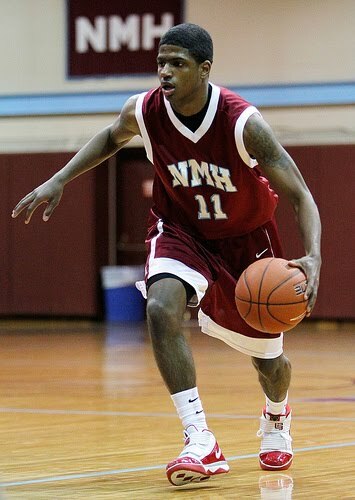 The news was confirmed by Northfield Mount Hermon coach John Carroll. 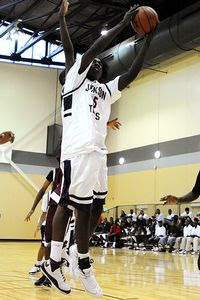 Majok also considered Georgia Tech and Boston College before deciding on the Stags. Colorado, Alabama, Oklahoma, UTEP, Valparaiso, Oregon, Saint Louis and Penn State were also in the mix at one point or another during the recruitment. He got a late start on the recruiting process because of an ear problem that made it impossible to get on an airplane. 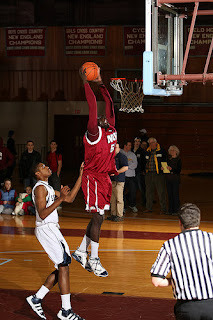 Majok, who came over from the Sudan in 2008, has quietly improved his game and became a guy who can make an immediate impact at the next level. “He’s tremendous to coach,” Carroll said. “I’ve never coached a player who will do exactly what you say as much as Majok. He’s incredibly athletic. 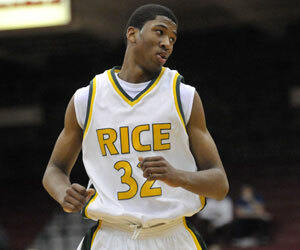 He put up numbers against some of the top players in the country, and I don’t think it will be different [in college]." One of the more interesting stories in the recruiting world on Monday was Macari Brooks’ commitment to Fairfield – and then his decommitment. 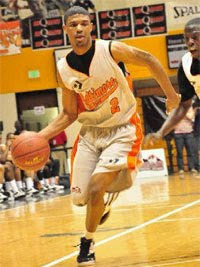 According to a source close to the situation, Brooks did indeed commit to the Stags, but then quickly changed his mind. Brooks also has offers from Illinois, Providence and Marquette, as well as interest from Indiana, Oklahoma and Colorado. One of the top unsigned point guards remaining has made his decision. Chris Denson, from Shaw High School (Ga.), is set to sign with Auburn this week. “Yes he is,” said head coach Terry White. White also said that location and the dribble-drive-motion offense were the main factors in Denson’s decision. Although he had mid-major interest for awhile, it was no surprise that he ended up going to a major-conference school. Denson chose the Tigers over Western Kentucky, Northeastern, Buffalo, Rutgers, Boston College and Utah State. Florida, Connecticut and UCLA also began to show interest late in his recruitment. A day after Omari Lawrence officially announced his decision to leave St. John’s, the 6-4 guard has a handful of schools showing interest. Lawrence informed the NBE Basketball Report that he has been contacted by Clemson, Xavier, George Washington, Virginia Tech and Rhode Island. No visits or a final list has been decided, though. “Too early,” said Gary Charles, his former AAU coach with the New York Panthers. "[He's] just [looking for] a good situation." 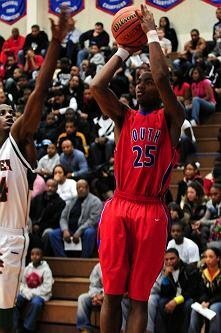 The Cleveland Melvin saga is finally over, as the 6-foot-7 forward from Baltimore committed to DePaul on Monday. The Notre Dame Prep (Mass.) product had originally chosen Connecticut in November, with the Blue Demons as one of the finalists. 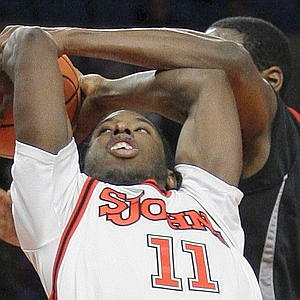 However, Melvin decommitted back in early March after a disagreement about his role with UConn. This time around, Melvin chose DePaul over Marshall and Rutgers. Lewis said that there wasn’t anything bad about Rutgers and Marshall that led Melvin to choosing the Blue Demons; it was simply that DePaul is the ideal situation for Melvin. 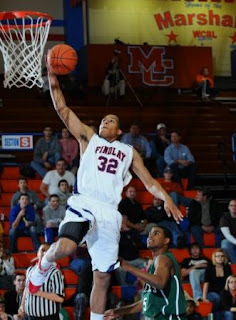 Melvin is a very athletic forward who can finish at the rim and is highly effective in transition. While he does need to develop more of a well-rounded offensive game, his natural athleticism allows him to defend well and guard multiple positions. Lewis said that Purnell was excited to hear about Melvin’s commitment, and that DePaul envisions him as a combo forward who can be a match-up problem on the wing and in transition. “I think he was generally pretty happy,” he said. “They expressed the same type of role that I described. - Senior Antoine Myers is scheduled to visit UNC-Wilmington, and has already visited Rutgers and Marshall. After that, Myers will make an assessment regarding his recruitment, whether to choose from those three schools or take additional visits. “He wants to step in and be an immediate impact guy,” Lewis said. According to Jeff Goodman of FOXSports.com, several of the ACC/Big Ten Challenge match-ups for next season will be battles between potential top-25 squads. The official release will come out later this week, but some of the match-ups Goodman reported were: Michigan State at Duke, Purdue at Virginia Tech, Ohio State at Florida State, North Carolina at Illinois and North Carolina State at Wisconsin. Each of those games has a chance to be a marquee games. Michigan State and Duke could both be top-five teams -- even No. 1 vs. No. 2. Purdue is a top-five team, and Virginia Tech will have Malcolm Delaney back. Ohio State, sans Evan Turner, will be ranked in the top-10, but will have to deal with Florida State and its slew of big men. UNC and Illinois will face off in a rematch of the 2005 national title game -- and both can be top-25 teams. Furthermore, NC State has several highlight-reel players, and it could be quite the contrast to Wisconsin's half-court offense. Remember, to get tickets to these games or any other ncaa basketball tickets, check out LavaTickets.com.